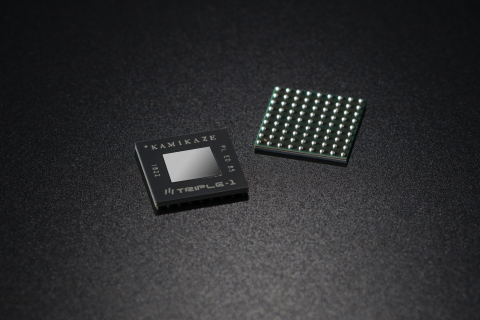 TRIPLE-1, Inc. (Representative director: Takuya Yamaguchi) is publicizing the numerical performance evaluation of the mining machine, “KAMIKAZE”equipped with the 7nm ASIC chip this day, 19 th September 2018. -- The numerical performance evaluation of the mining machine, “KAMIKAZE” equipped with the 7nm ASIC chip will be publicized. -- Further innovative development will become more realistic. Due to the result of the "KAMIKAZE"performance evaluation test, the ongoing development in parallel has become more realistic. [Today is created by the challenge toward "impossible"].